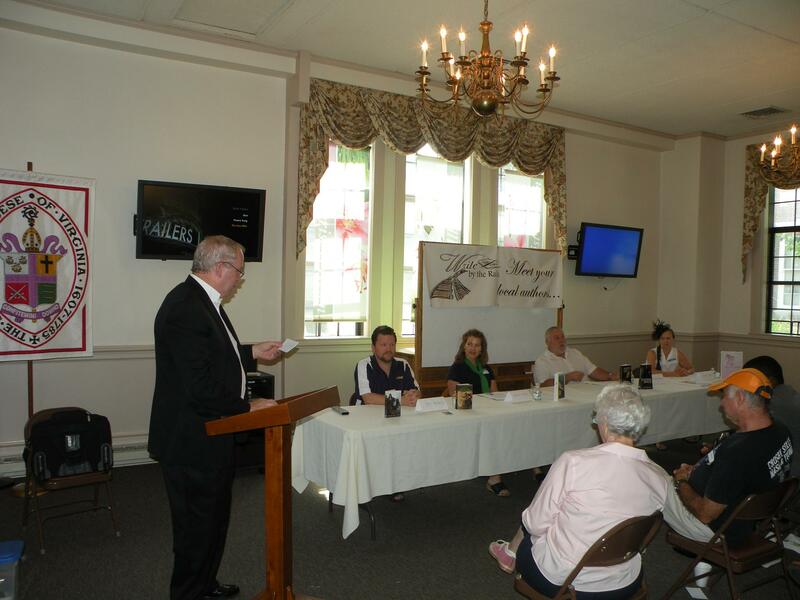 My writer’s group in Manassas, Virginia. In honor of the rails running through Manassas; sight of Civil War Battles of Bull Run, (the Union name) or Battles of Manassas, (the Confederate name). Write by the Rails Marketing Panel.. Prior to publishing a book, I was only running three races with family, friends, and work. Once Memory Lake hit the marketplace, the other races began. I stepped out from behind the computer to say ‘Yes’ to book signings, interviews, and speaking at book groups, clubs, and special events. 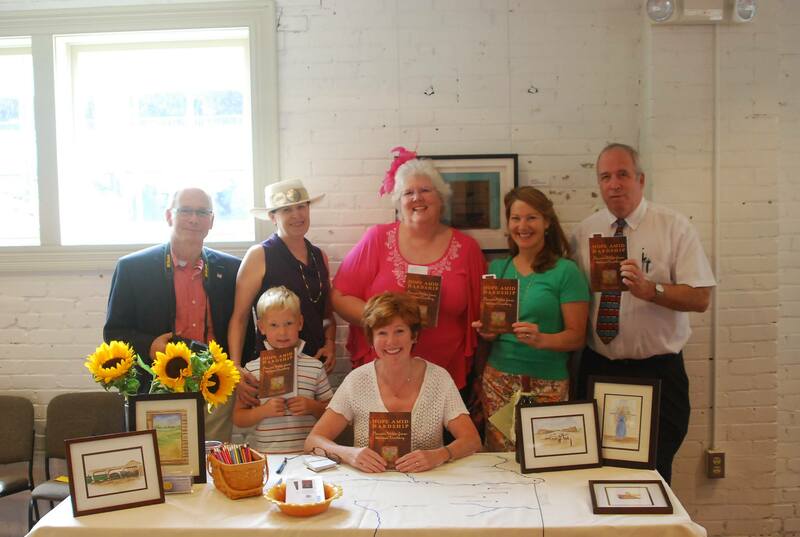 Along this race, I met other authors and joined “Write by the Rails“, (WbtR). We are a writing group, kind of like AA for writers, where we support each other and find venues to help each other market our works. Being in WbtR, led me to say ‘Yes’ to our President, who asked me to get involved in Prince William County’s Art Council. I said ‘Yes’ to that President and became the Art Council’s Secretary-Treasurer. I also said ‘Yes’ to my boss of 21 years, (a wonderful woman, whom I adore), when she asked me to find a way for her very quaint town center, Tackett’s Mill, to serve the community. (She owns other properties, which I oversee as CFO, but Tackett’s is our favorite, and it’s where my office is located.) Thank goodness, these three races will converge in 2014. Tackett’s Mill will have a beautiful community center and one of its first events will be the announcement of a ‘Poet Laureate’, as organized by WbtR and sponsored by the Arts Council. * It’s quite rewarding for me to see all that running around last year was not in circles. It is following a route toward a finish line. Good thing too, because I just said ‘Yes’ to a blog tour! 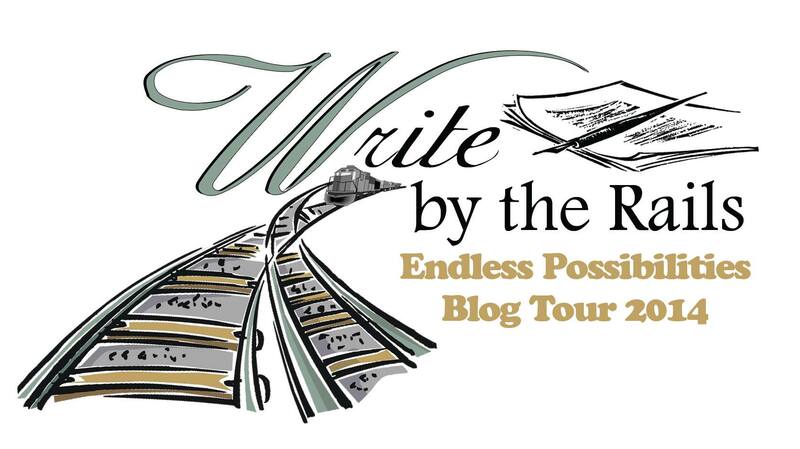 It is the “Endless Possibilities Blog Tour”, organized by WbtR members. It means another race for me, and if you run it with me, you will meet other authors and may just find that next good book to read. Here is the list, in no particular order, because it is a race, after all. 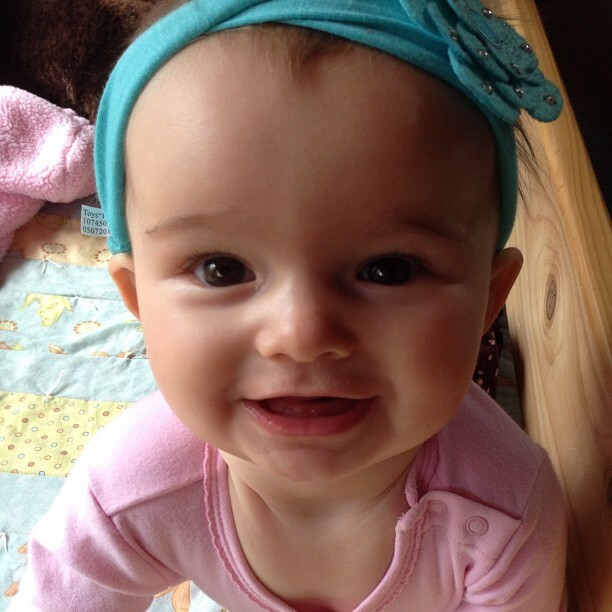 And here’s my grandbaby, “Lilly”, just because she’s so darn cute.